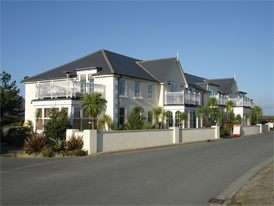 "The Bay Apartments" suitably named are surrounded by beautiful beaches, coastline and L'Ancresse golf course. The family run four star luxury apartments are fully equipped with all but one enjoying sea views and within 100 metres of Pembroke Bay. In addition to this idyllic location guests are able to enjoy tennis, swimming pool and the health and beauty salon on site. 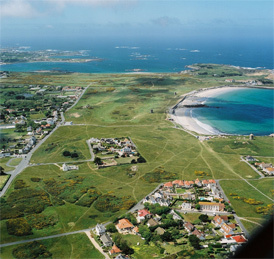 The apartments are located just 4 miles from St Peter Port, should you decide to visit Herm, it is possible to set foot on Herm within an hour of leaving the apartment. As a guest at "The Bay", you will be entitled to a 50% discount on "Travel Trident" boat tickets. If you have a real love of Herm Island, why not base yourself in Guernsey and travel daily enjoying extra special rates on request.